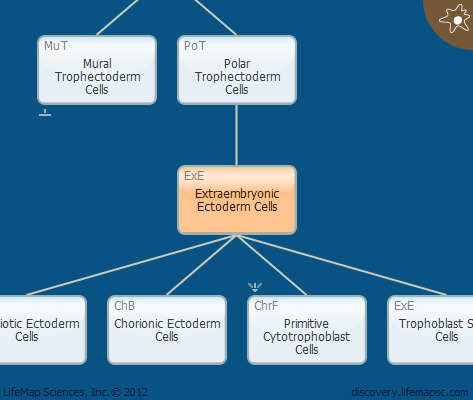 The extraembryonic ectoderm cells contribute to the amniotic ectoderm and chorionic ectoderm. In the mouse, these cells also contribute to the ectoplacental cone. Within the extraembryonic ectoderm there is a resident trophoblast stem cell population which serves as progenitor cells for the ectoplacental cone cells.